Top Indian Restaurants in America – Best of India! Does your love for food define the purpose of your life? Does your heart crave for “desi masaaledar” food? Then guess what, you’ve landed at the right place. In a country like India, known for its rich heritage and sharp minds, food plays an important factor in unifying the people belonging to different communities. From “famous Amritsari Chane and Stuffed Naan with Lassi” to “Gujarat’s light and healthy Sev Khaman Dhokla“, from “Hyderabad’s Chicken Biryani” to “mouth-watering Bengali Sweets“, from “Mumbai’s special Butter Pav Bhaaji” to “Punjab’s Special Chicken Butter Masala “, the Indian subcontinent has more than thousand different types of dishes to offer. What makes all these dishes special is the fact that they are a proper blend of lip-smacking flavours, a perfect mixture of spices, pure dairy products and most important lots of “ghee”! 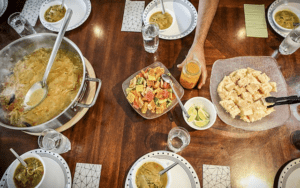 The craze for Indian food is widespread across the globe and this is evident from the fact that all the countries throughout the world have restaurants that especially serves Indian food. Whether you’re in America or you’re in Australia, Indian food is available in almost every country. Alert: For all the Americans and people travelling to America, this one is especially for you! If you’re planning to visit India, then it’s cool because you can try all the Indian delicacies anywhere in the country but what if you’re in America, aren’t planning to visit India soon and want to eat Indian food? 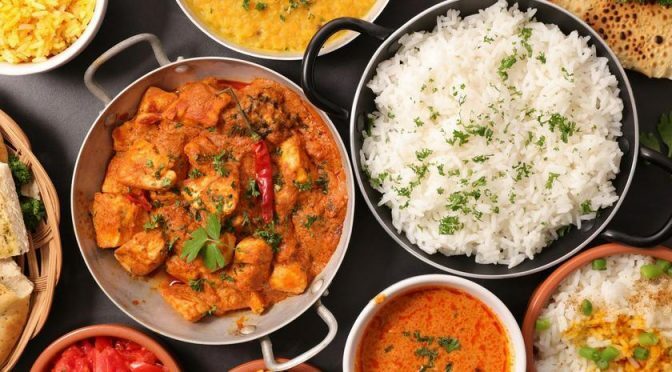 Then don’t be disappointed because today we’ve for you: a list of Top Indian Restaurants in America that serves the best authentic Indian food and definitely to watch out for if you’re in America. So, grab a cup of coffee, sit down and check out this list of Top Indian Restaurants in America. The first restaurant to make to our list of Top Indian Restaurants in America is Adda. If you’re an American, you won’t deny the fact that New York has one of the most diversified restaurant scenes that offer cuisines from everywhere and of every type. Whether you want Italian, Chinese, Indian, Afghani etc. – the choice is all yours! Though there are a few Indian restaurants in the region, they fail to give that homemade Indian touch to the spicy curries and food. This is when Adda comes into the light! 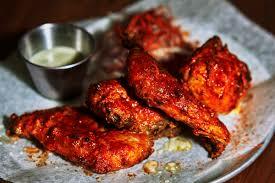 Adda, situated in the neighbourhood of Long Island City in Queens has the services of Chintan Patel as the head chef. Instead of focusing on fancy cutlery bowls and Indian theme settings, this place is famous for preserving the taste and aroma of Indian food. From gingery chicken livers(tawa kaleji) to fiery goat brains(bheja fry)-it is a bliss for all the Indian food lovers! For all the vegetarians out there, the restaurant is famous for serving lotus root kofta: a delicacy made from home-made paneer dipped in creamy fenugreek and tomato base. The next restaurant on our list is named after the day, India declared its independence from the British rule in the year 1947. This place is famous for the perfect fusion of authentic Indian dishes with international ingredients. You’ll find surprising dishes in the menu like sea bass with a wasabi beurre blanc in the dinner or shrimp and grits along with upma(a spiced porridge made from cream of wheat) for brunch. If you’re in San Francisco, I’ll suggest you try this place at least once. Badmaash is the Hindi word for “mischievous“. The name of the restaurant is apt in accordance with the wide range of dishes they offer in the menu which comprises of a balance of traditional dishes and their fusions. You shouldn’t be surprised if you find dishes like perfect flaky samosas that are stuffed with creamy butter chicken in the menu! 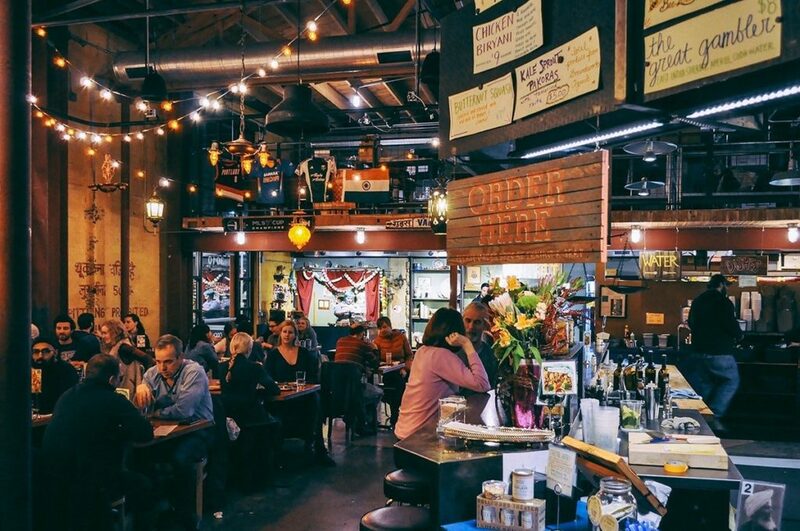 Run by two brothers Nakul and Arjun Mahendro and their father Pawan, this place has managed to make a good name in the Los Angeles markets. They are known for serving tandoori chicken tikka over masala fries, doused with beef gravy and cheese curds. They also serve a fusion of Indian dishes like spiced mango pork belly or commonly known as mango pork belly which is slowly cooked in its own juices. Last but not least, the place is famous for their own innovative desert i.e., their very own self-prepared ice cream sandwich made from Parle-G, a renowned Indian cookie. Biju’s place is one of the finest Indian dining restaurants in America. The place doesn’t feature any white tablecloths setting but instead there is a simple, flavour-loaded menu inspired from South Indian dishes. Though one may not find beef dishes in many Indian restaurants, Biju’s Little Curry Shop is an exception. The place is known for serving an excellent version of masala beef which is prepared and garnished with garlic and ginger and served over basmati rice bowl. For all the people who love to add extra spicy masala to their dishes or consider themselves “heat chasers”, they should definitely try awesome X-Hot Vindaloo Chicken Bowl at this place. 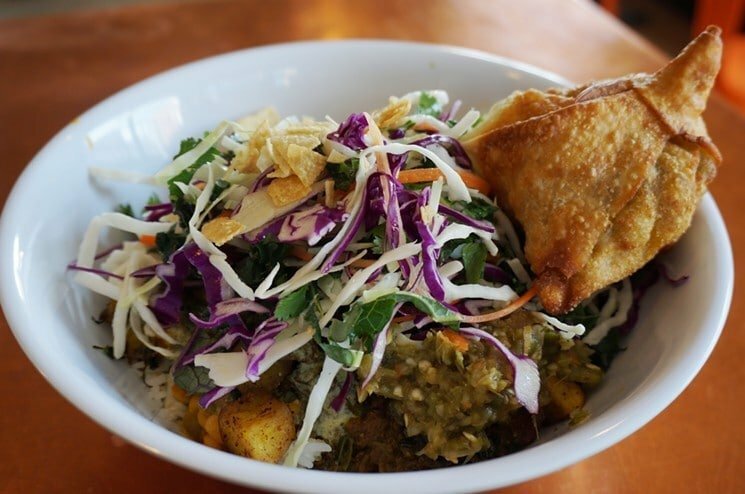 Vik’s Chaat Corner: Berkeley, California. Chaat is the Hindi term that means “to Lick” but is also used to refer to street food in the Indian subcontinent. The menu at Vik’s Chaat Corner is famous for street food dishes along with main course food items(dal, rotis etc.). If you like crispy and crunchy flavorful food then chaat and you’re made for each other. Vik’s Chaat Corner serves everything from aloo tikki( crunchy griddled potato patties topped with chickpeas, onions and spicy chutneys) to pani puri(tiny fried puris stuffed with potatoes, chutney and dunked in spicy herbaceous water). Even the thought of the same makes me feel hungry now! Believe me, it’s damn good! 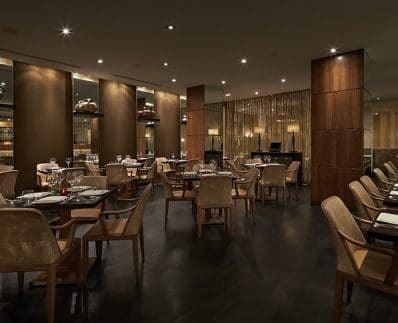 The next restaurant to find a place on our list of Top Indian Restaurants in America is Rasika. The place is a must have on your personal preferred restaurant bucket list if you’re staying in America and loves Indian food as much as I do. Even the former President of America, Barack Obama celebrated his two birthdays at this renowned Indian restaurant. Now that’s huge! This place works under the services of chef Vikram Sunderam who is the winner of the James Beard Award. This place is open for almost 14 years now and people still love this place so much that the restaurant owners have opened their outlets at two other locations too. 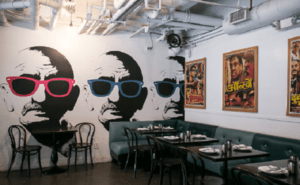 Their menu comprises of traditional Indian dishes along with other food experiments like crispy sweet potato samosas, avocado chaat, and truffle naan. Bollywood Theater is the next restaurant on our list of Top Indian Restaurants in America. Bollywood Theater is one of the Portland’s top Indian restaurants that serve amazing food. There is no doubt in the fact, with its amazing setting and lip-smacking masaaledaar dishes, Bollywood Theater transports you to India without any expensive 15-hour flight and plane tickets. Chef Troy Maclarty, who fell in love with India and Indian food after a trip to the country runs this fancy place. Most of the dishes listed in the menu are inspired by the native food culture of the Mumbai-the City of Dreams! So, if you’re at Bombay Theater and are confused: What to order? 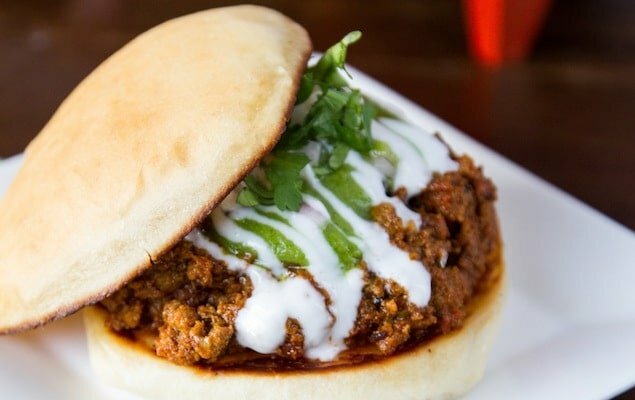 Then, without any hesitation order Mumbai’s famous Pav Bhaaji(a dish of mashed-and-spiced vegetables with a topping of shredded cheese and served with extremely buttered bread). I can bet, you won’t be disappointed! 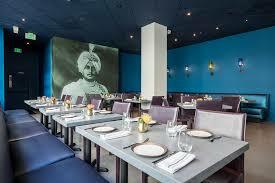 Chai Pani, which translates to tea and water is the next restaurant on our list of Top Indian Restaurants in America. This restaurant works under the guidance of chef Meherwan Irani who owns a number of restaurants in the American state. 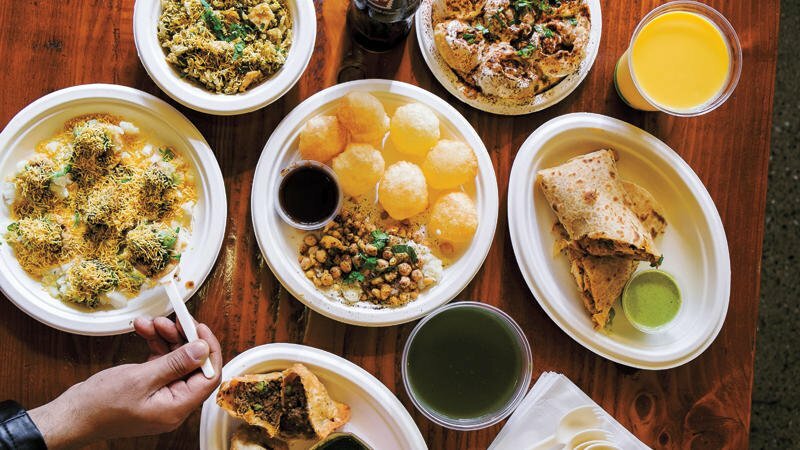 According to Irani, their place is famous majorly due to the fact that they focus on preserving the traditions of Indian street food in the dishes while also being open to new experiments. The place is famous for serving Sloppy Jai (i.e., a dish of spicy halal lamb hash between two griddled buns) and samosa chaat(i.e., two samosas topped with a chickpea stew and plenty of chutney). For all the Chai Lovers: Chai Pani serves very good masala chai, so don’t forget to order one for you if you’re visiting this place. Cumin is the next restaurant on our list. It is located in Chicago. Cumin is the perfect restaurant for someone who wants to eat lush chicken tikka masala and crispy vegetable samosas. Cumin is famous for serving both Indian and Nepalese favourite cuisines. Some of their best servings from the platter are lamb biryani, steamy chicken momos and Namche Bazar Ko Sekuwa(a dish of boneless goat meat, cooked in a tandoor oven and served on a sizzling platter). The last restaurant on our list of top Indian restaurants in America in America is Ghee Indian Kitchen. Owned by Chef Niven Patel, Ghee Indian Kitchen is quite famous among the people of Miami. Niven is known for implementing the concept of locally sourced produce to a whole new level as he personally grows 15% of the produce he serves in his restaurants on his 2-acre property. Niven grows mangoes(for lassis and chutneys), turmeric, taro leaves and even Indian eggplant on his property. Consequently, he serves many seasonal dishes based on the plants grown. Some of the must-try dishes from the menu of Ghee Indian Kitchen are Patel vegetable poriyal(quickly stir-fried vegetables) and Patel baby eggplant prepared with Yukon potatoes and heirloom tomatoes.So, if you’re at Miami, you must definitely check out this place! I hope the above-curated list will help you to land at the best Indian restaurants in America that serves awesome food. Do notify us of your experiences in the comments! That’s all from the story. Stay connected to find more!